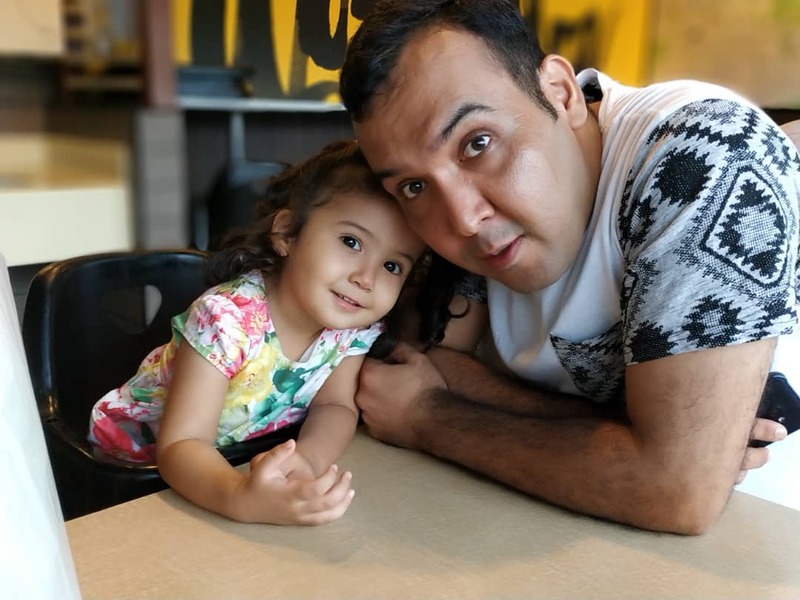 Qasem, his wife, and Nazanin – their 2 year old daughter – have been living in Malaysia as refugees since 2013. They’re originally from Afghanistan but they arrived here from Iran. “We have been refugees all our lives, first in Iran and now in Malaysia,” Qasem added. A bag maker by trade, Qasem learnt to design and make bags with beautiful materials from his father. “It’s what I’ve always known. I’m very proud of my work,” he proclaimed. 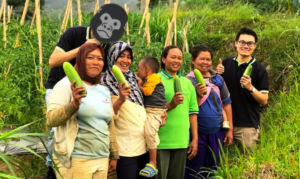 Despite his skillset, he’s not allowed to work legally in Malaysia due to his refugee status. 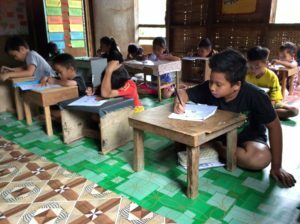 This is a problem that many of the 158, 620 refugees (according to the UNHCR) and asylum seekers face in Malaysia. “I hear that Malaysian people often say that we steal their jobs, but I don’t think any Malaysian would want the jobs that we get. We sometimes don’t get paid, we work without breaks, we are exploited. If we get sick or we cannot come to work one day, we lose the job,” Qasem added. Furthermore, they have to constantly deal with discrimination. They also have to be careful to avoid getting arrested and ending up in detention centres. 1. 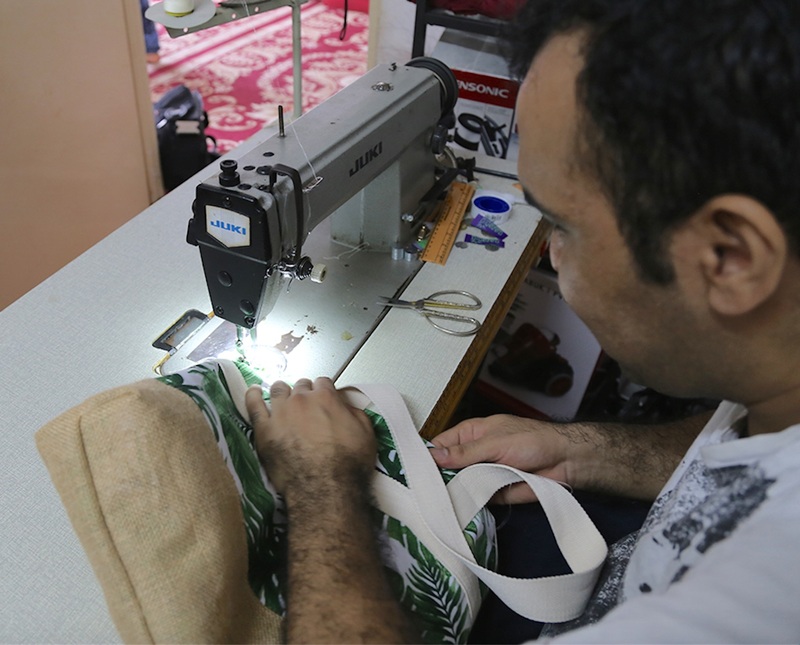 Qasem started making bags from various materials and fabrics in order to provide his daughter a brighter future. As such, he started making and selling bags on Facebook under the brand name, Nazanin Bags, named after his daughter. 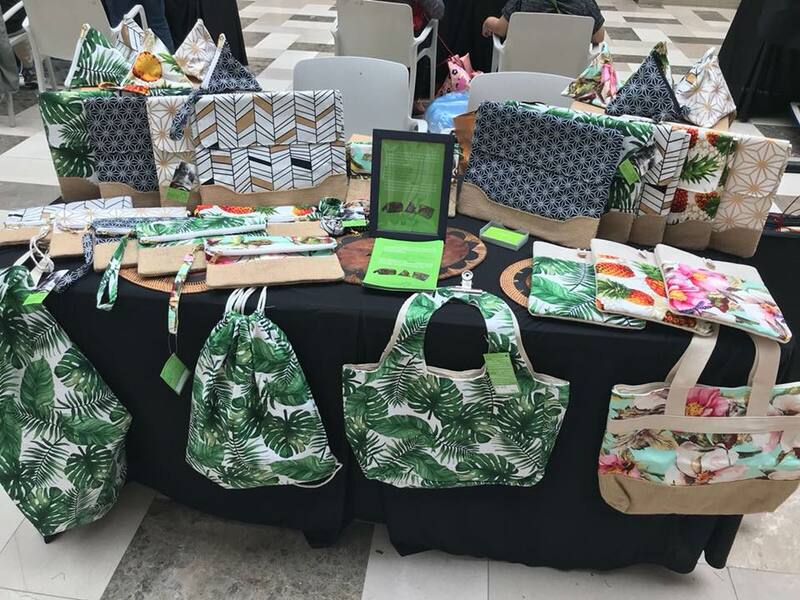 With the help of some friends from Spain, they came up with a few designs, chose fabrics, setup a Facebook page, and they started to attend bazaars. At the bazaars, he realised that a lot of people gravitated towards their designs, and wanted to buy the bags. Nazanin Bags helps them generate regular income, and it allows them to pay their rent and buy food. 2. Making each bag can take any where from 2 hours to an entire day. Along with their volunteers, Qasem selects the fabrics, reviews the products and sales, and determines the improvements that have to be made. Then, they source the materials and start cutting up the fabrics for the stitching process. The sewing can take anything from 2 hours for a small bag to the whole day for a more complex piece like their yoga mat bags. One of their biggest hurdles is to make enough sales to buy more materials. In turn, this helps them to produce more, and earn more revenue. “It’s a difficult balance sometimes,” he added. Qasem also highlighted that there are a lot of organisations that try to help developing social enterprises but they're often riddled with many challenges. Qasem met a representative from Air Asia Foundation at one of the bazaars in Publika. “They liked our bags and the quality, and offered to sell them in their shops. It’s been great working with them, and it really helped us develop the brand more,’ he told Jireh’s Hope. Air Asia Foundation stocks their bags in their Destination: GOOD store. You can have a look at their products here. 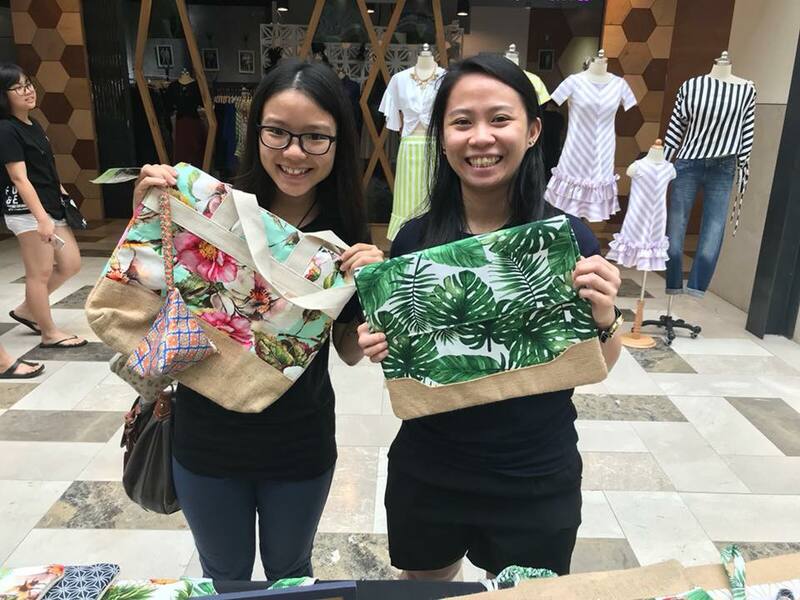 They’re also working together to produce a special line of bags made of plane life jackets, as Air Asia has to upgrade them regularly.These bags would be sold for the first time at the Rainforest World Music Festival in Sarawak from 13 -15 July. 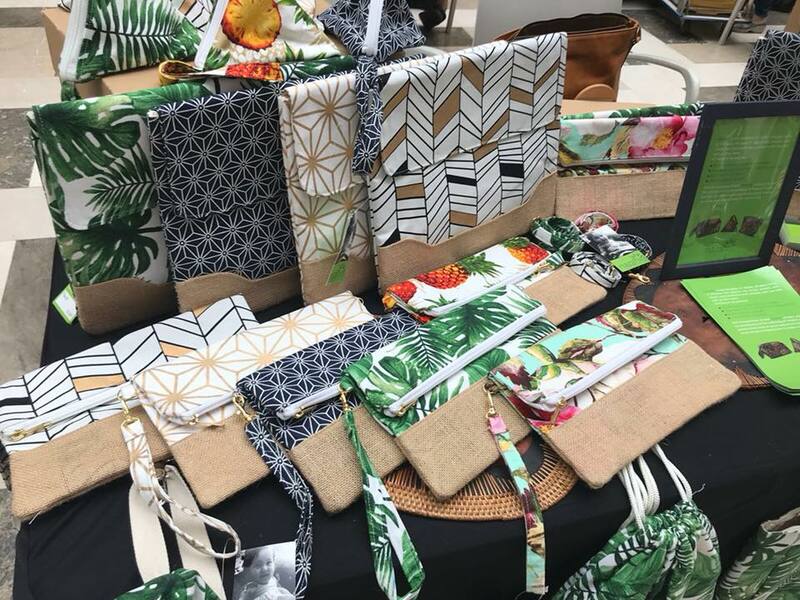 They’re also collaborating with the Berani Marketplace to produce their # KITARGE14 bags. Under this initiative, marginalised people will be upscaling the banners used during the last Malaysian General Election into the bags. You can check out the bags, here. 4. His daughter is the motivating force behind Nazanin Bags. “Her future is the most important thing to me and my wife. I was born a refugee and grew up with the feeling that refugees are not human. Refugees don’t have rights. My generation and I were not lucky to see the brightness of life, because no one cared about us.” he told us. Nazanin Bags will be releasing a new line made out of different fabrics. Follow them on their FB page to keep up their announcements.